Most people would question why Portsea, Sorrento and parts of the Mornington Peninsula are included in “Geelong and District” and more particularly the Geelong & District Database. Perhaps we should look closer at the newspaper the Queenscliff Sentinel – which at various times during the 20th Century was known as … the Queenscliff sentinel, Drysdale, Portarlington & Sorrento advertiser and also the Queenscliff sentinel, Drysdale, St Leonards, Sorrento, Portsea, Portarlington, Point Lonsdale and Bellarine Shire advertiser! There are already plenty of names in the Geelong & District Database from Portsea, Sorrento and Rye – from early church registers of Queenscliff – right through into the 21st century! 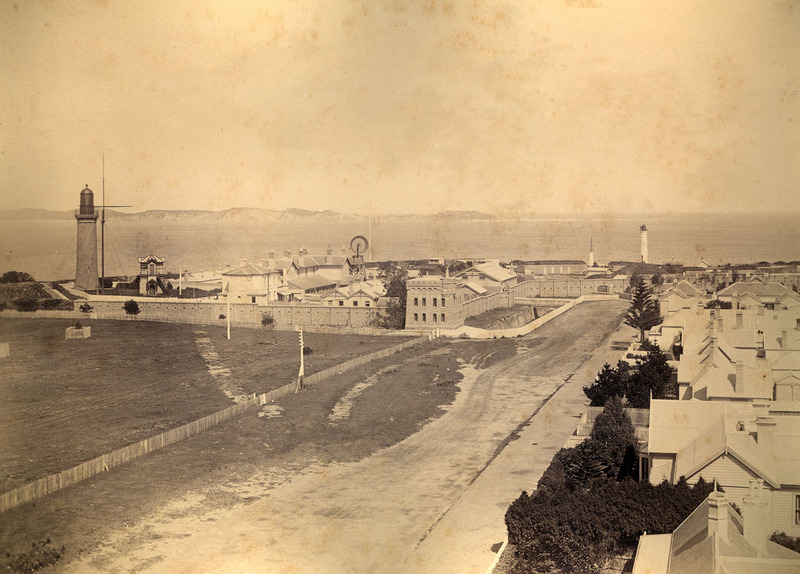 Doctors, pilots, customs officers, military and many others crossed the short distance from Queenscliff to the lower Mornington Peninsula to service the needs of the people living there from choice or at the Quarantine facilities. Have you thought about how you can help us reach our 2014 target of 1,500,000 entries in the Geelong & District Database? Details on these indexes can be found in the Geelong & District List of Books.